Jillian Guthman, Esq. was appointed Receiver of Taxes in December 2017, replacing Ester Bivona, who retired. Immediately prior to being named Tax Receiver, Jillian served for 10 years as Director of the Town’s Human Services Department, and in several prior positions in the Town Attorney's Office. A lifelong resident of Huntington, Jillian graduated from Huntington High School. She went on to St. John’s University, where she earned a Bachelor of Arts degree in Psychology, and to Touro College’s Jacob D. Fuchsberg Law Center, where she earned her law degree. She has been licensed to practice law for more than 20 years. Before joining Town government, Jillian worked as a Suffolk County Assistant District Attorney, and in the New York City Corporation Counsel’s Office. She has also served as the Attorney for the Village of Hempstead. She joined the Town of Huntington as an Assistant Town Attorney and advanced to the position of Deputy Town Attorney. 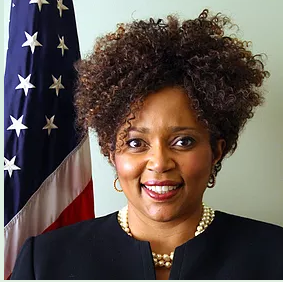 As Human Services Director, she supervised the Senior Division; Division for Veteran Services; Division for Persons with Disabilities; Division of Minority Affairs; and the Women’s Division. Concurrently, Jillian served as the Town’s Equal Employment Opportunity Officer where she presided over hearings. Jillian brings a wealth of experience in the fields of law and management. She is committed to serving the community of Huntington. She resides in Melville with her daughter.